Microsoft, in its continuous mission to make Windows 10 better than ever, finally released the Windows 10 October 2018 Update at the end of last year. This update follows in the footsteps of the Windows 10 April 2018 Update. The Windows 10 October 2018 Update, much like previous versions of the OS, brings a ton of new and exciting features to freshen up your PC experience. With new features like the Windows 10 News app and improved phone integration, the Windows 10 October 2018 Update revolutionizes the way we use Windows 10. The Windows 10 October 2018 Update also brings some improvements to Windows Mixed Reality and even some Hololens improvements. If this sounds attractive, you’ll be happy to know that – after getting pushed back due to it deleting user data – the Windows 10 October 2018 Update is available now. However, problems seem to keep emerging. For instance, the latest Windows patches are experiencing conflicts with some antivirus apps, like Avast and Avira, causing users PCs to slow down or lock up. But, hey, at least you can remove a USB drive without ejecting it now. So, now that you can download and install the Windows 10 October 2018 Update, we thought it was about time to jump into all the details. So, keep this page bookmarked and we’ll update it with any new information that comes our way. The Windows 10 October 2018 Update is finally out now, even though there are plenty of problems. It was initially launched back at the beginning of October, but it was pulled after bugs were discovered that were deleting user data. But, Microsoft has lifted that restriction, and it’s available to download once more. Then, earlier in March, Microsoft released a patch that fixed some performance issues related to the ‘Retpoline’ Spectre fix. But, this same patch broke some PC games. Either way, if you haven’t updated yet, we’ll show you how to download and install the Windows 10 October 2018 Update. Or, if you just want to wait until the Windows 10 May 2019 Update (we don’t blame you), you’ll be happy to know that update has entered the last stage of testing, and should be out at the end of May 2019. While Redstone 5 is what it was called during development, the actual name is going to be the Windows 10 October 2018 Update. It’s not as catchy as past launches like the ‘Anniversary Update’, or the ‘Creators Update’, but at least it has a very clear title, we guess. Now that the Windows 10 October 2018 Update is available, we know all of the features that made it into the final update. From the Cloud Clipboard that lets you copy and paste between devices to the new release of DirectX Raytracing, which takes advantage of the new Nvidia Turing cards, here are all the features that are included in the Windows 10 October 2018 Update. 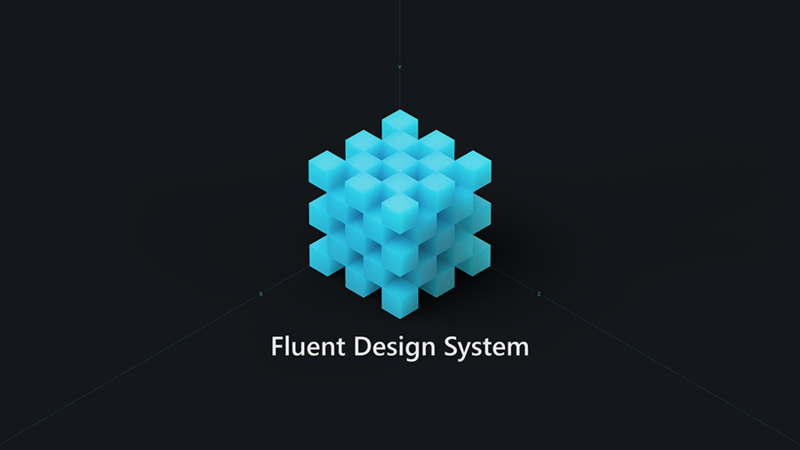 Microsoft introduced elements of the Fluent Design user interface with the April 2018 Update, and at its Build 2018 event, it showed off more effects and features that will come in Redstone 5. So, expect more apps, including standard Windows programs, using the Fluent Design interface, and there will be some eye-catching 3D effects for Mixed Reality experiences. Windows 10 Game Mode was already a clear benefit to gamers – even if it’s barely noticeable. With Windows 10 Redstone 5, Microsoft has stated that it’s adding more options to game mode to further optimize gaming performance, but it didn’t really get into specifics. However, the improvements to Game Bar might be more noticeable, and even actually useful to PC enthusiasts and power users. Instead of having to run a third-party program like MSI Afterburner, users will be able to see visualizations of system utilization – think GPU, CPU and RAM usage, as well as frame rate. This will be an amazing addition, and will go a long way to informing users why their games start to run slow. While Sets is one of the more hotly-anticipated new features, Microsoft recently pulled it from Redstone 5&apos;s preview builds. According to Microsoft’s Dona Sarkar in a blog post announcing the 17704 preview build, “we’re taking Sets offline to continue making it great. Based on your feedback, some of the things we’re focusing on include improvements to the visual design and continuing to better integrate Office and Microsoft Edge into Sets to enhance workflow”. So what is Sets, anyway? Well, the basic idea is to bring the concept of tabs from the web browser to the entire interface of the OS in general, so you can have windows with tabs that contain web pages, apps, folders – a mix of everything essentially. 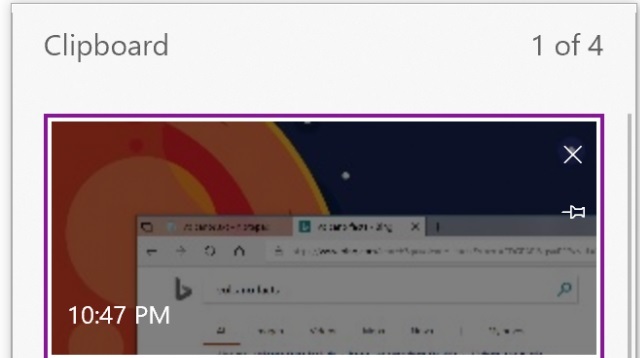 At Build, Microsoft showed off more about the potential of Sets in Windows 10, showing how you can have an open document, and clicking a web link will open the web page in a tab next to the document, with everything you open organized in that Set. You’ll then be reminded with prompts while your working about the tabs, which should give you intelligent help when working across a variety of documents, apps and websites. It doesn’t look like Sets is going to make it into the final release of the Windows 10 October 2018 Update, but we might get it in the next major Windows 10 release. In the Windows 10 October 2018 Update, Microsoft implemented a new storage feature called Storage Sense. This will automatically free up storage space on your hard drive by getting rid of old files you don’t use anymore. It’ll take these files and back them up on OneDrive, so you’ll still have access to them – without clogging up your hard drive. You’ll have to manually enable this feature in Redstone 5, but it could be a great option for anyone that doesn’t want to manually sort through hundreds of files to optimize storage performance. Progressive Web Apps (PWAs) are websites (or web apps) that are implemented as native apps and act just like a normal app would, giving users notifications, live tiles, and even working offline in Windows 10. 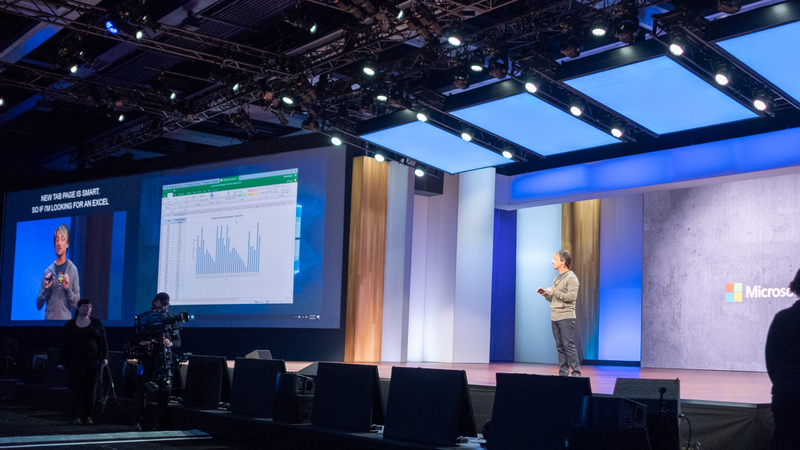 At Build 2018, Microsoft showed how these web apps will integrate better with Windows 10 in Redstone 5. They will look and behave more like standard Windows 10 apps thanks to an improved interface, and Microsoft also revealed that you’ll be able to download the apps directly from its Edge web browser. Microsoft is making a big deal of having Windows 10 work with all manner of devices, and with Redstone 5, we should see a radically improved Your Phone app that will allow you to easily interact with your smartphone through Windows 10. This is done by downloading the Your Phone Companion App (previously named Microsoft Apps) on Android. This app still has the ability to highlight other Microsoft Android apps, though will now allow you to interact with your PC through your phone. 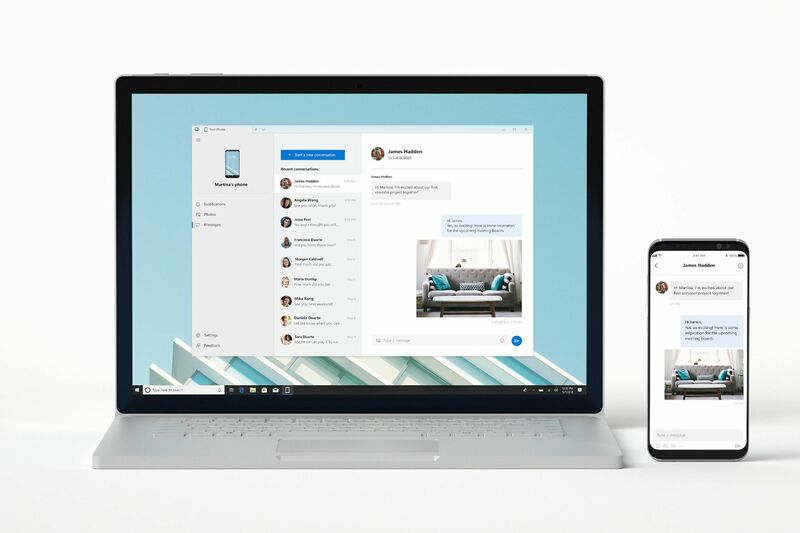 You’ll be able to read and reply to text messages from your Windows 10 device, as well as easily share files, photos and more between your PC and your phone. With Windows 10 Redstone 5, we’re going to get a more refined News App, which will let users gather all the news relevant to them in one curated spot. Including hints of Microsoft’s fluent design, it’ll fit right in to all of the other recently revolutionized tools in Windows 10. Microsoft is hoping to use this news apps to take on services like Apple News or Google News, with a focus on an easy, intuitive news experience. A new feature spotted by people using an early version of Redstone 5 is the cloud clipboard, which will allow users to copy and paste across different devices thanks to the new cloud-powered clipboard. User can trigger the new function by simply hitting Windows Key + C.
The copied content will then be available in other Windows 10 devices, and in the future Android and iOS devices as well. It wouldn’t be Windows 10 without improvements to Mixed Reality, and the October 2018 Update should have them in spades. In one of the most recent Windows 10 Redstone 5 builds, Microsoft included a variety of improvements to Mixed Reality quality of life, including the ability to seamlessly take screenshots and immediately import them into an email. And, if you’re using a backpack PC to fuel your Mixed Reality desires, you’re in luck. Microsoft has removed the requirement to connect a monitor to use a Mixed Reality headset. Another feature due to arrive with Windows 10 Redstone 5 is improved search previews. These now support apps, documents and other files, and should make searching Windows 10 even easier.